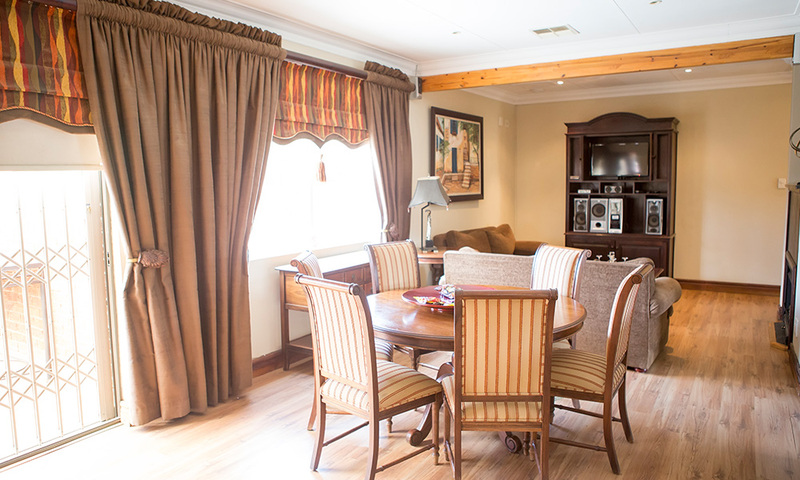 For our guests who prefer more privacy we offer a 2 bedroom penthouse. 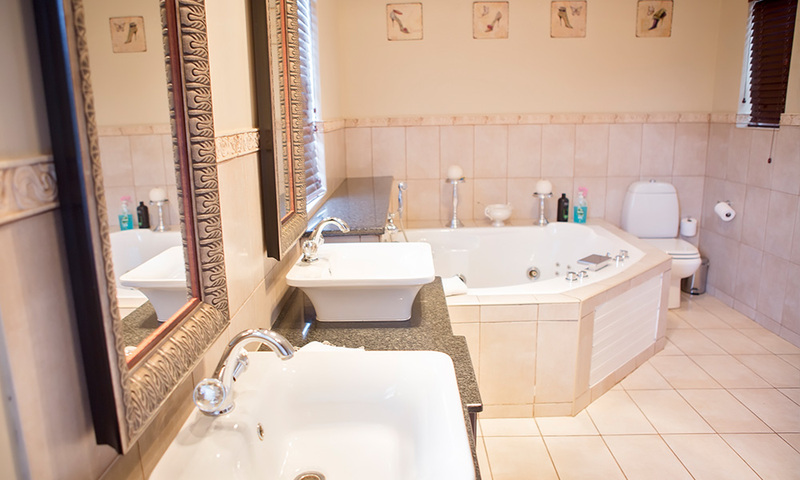 Each room has a queen size bed, en-suite bathrooms with spa bath and shower. Enjoy the outdoor private patio. * For you convenience we have a back up electricity and a water system in place. 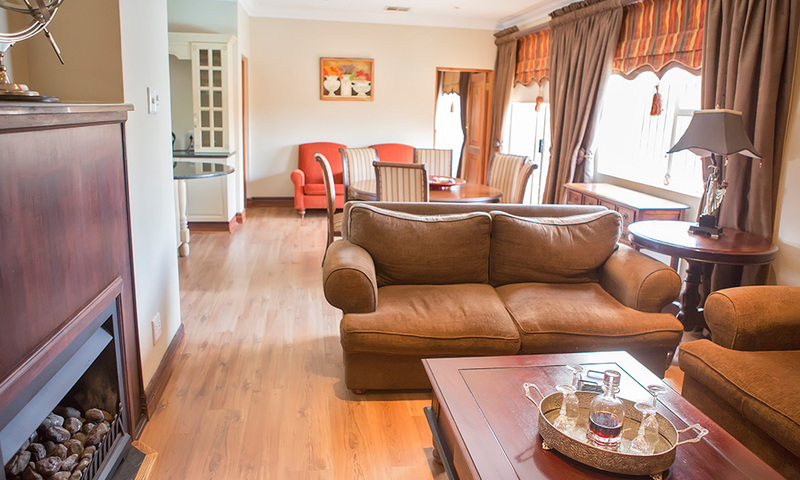 It is our pleasure to ensure that the booking procedures are smooth and efficient. Check in at 2pm or anytime before 21h00 and Check out at 10h00. All Rooms are Smoke Free. Please smoke in the designated areas. A fee will be charged for any smoking in rooms. Thank You! We appreciate your co-operation. Credit cards are welcome. 50% deposit is required to secure a booking. No weekend rates. Contact us directly for rates and specials. Au Jardin is a wheel chair friendly establishment - We do not currently have a wheelchair friendly Bedroom - A bedroom for disable guests is currently under construction. Children of all ages are welcome at Au Jardin. 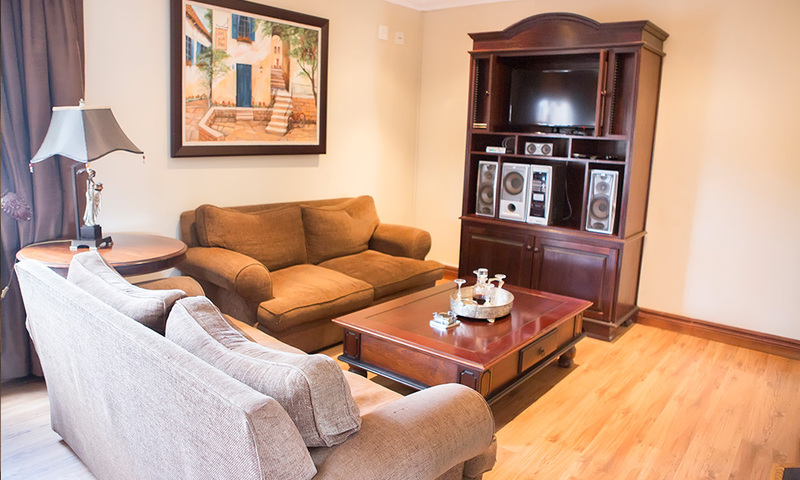 Our Superior Family Rooms will suit your family needs perfectly. Children are to be supervised at all times. There is a swimming pool on the property - Children are not allowed to swim without adult supervision. Au Jardin will not be held responsible for injury. Terms and condition Apply. Unfortunately Au Jardin does not allow Pets. 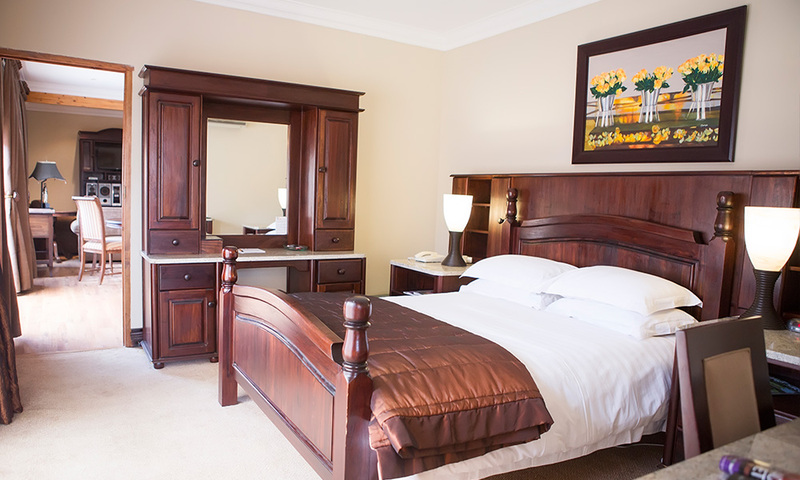 Room service is available from 18:00 - 20:30 unless otherwise arranged with Management. Meals may be ordered from the kitchen during operating hours and delivered to the room at an additional cost. Breakfast will be served in the Dining Area from 6:30 - 9:15 - If guests would like breakfast earlier please make arrangements prior to the time with management. If guests do not want breakfast - a breakfast pack can be arranged. Breakfast is served in the Restaurant / Dining Area. There is a A La Carte Restaurant on site where you can enjoy a delicious meal prepared by Qualified Chefs. Strickly no alcohol is to be brought onto Au Jardin property unless previously arranged with Management. There is on Site security cameras and monitoring for your safety. Guests may have visitors. Should they want to spend the night - additional fees will be charged. Guests making use of the pool and the pool area do so at their own risk. There is no safety net on the pool.